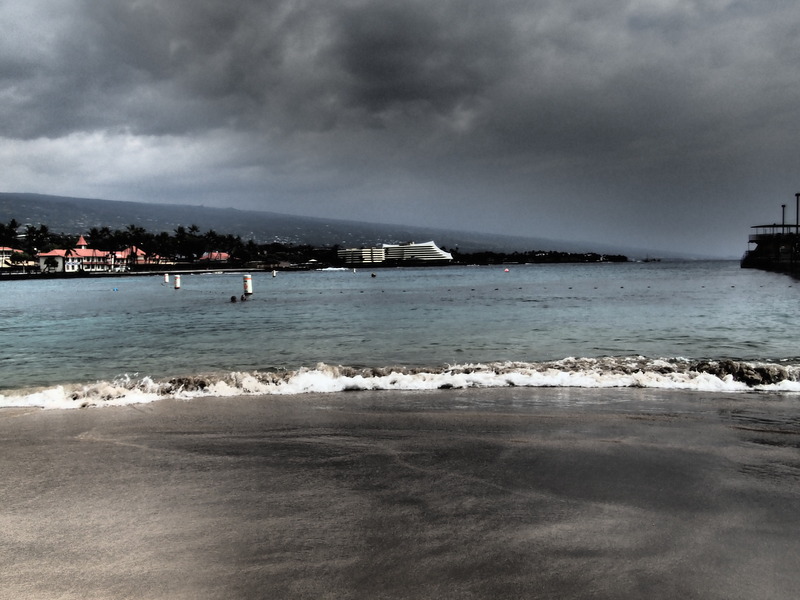 It was a cold January afternoon when I made the commitment to a destination training week in Kona, Hawaii. I would eat, live, and breathe triathlon on a ruthless training schedule that would entail multiple six plus hour rides along the grueling lava fields while enduring fierce winds, open ocean water swims, pool speed sessions, and heat-searing-off the pavement runs. 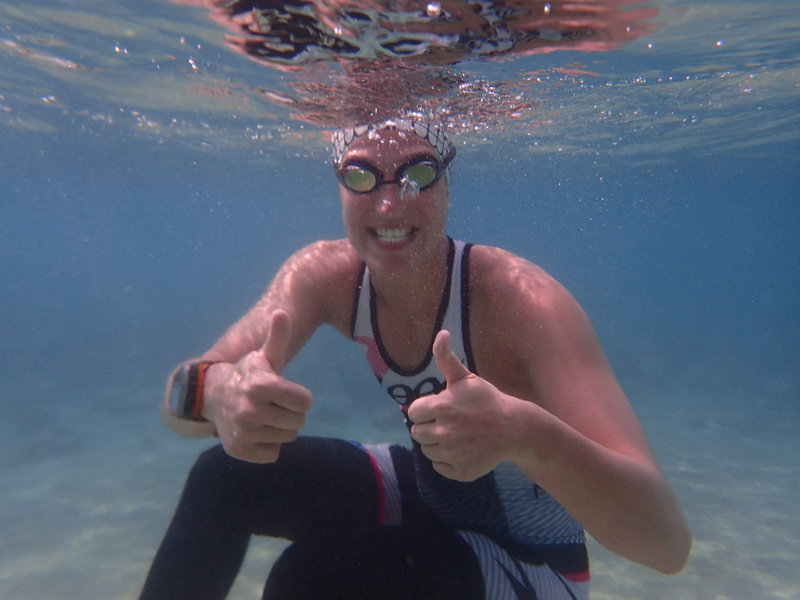 As an age-group triathlete, this kind of training schedule away from the demands of everyday life and work is an amazing opportunity, especially in a place like Kona – home of the Ironman World Championships. Unfortunately, one week before my trip, I wrecked my knee and all my plans came to a grinding halt. That’s the reality of life though, sometimes things don’t go as planned. At least I could swim, and maybe even perhaps I could attempt some light cycling. All was not lost. So, with Chrissie Wellington’s book, “A Life Without Limits” tucked under my arm, and suitcase in tow, I boarded the plane. The next morning, I awoke in Hawaii to the sounds of chirping birds, the damp warmth of tropical air, and the intoxicating scent of the ocean – this was exactly where I needed to be. 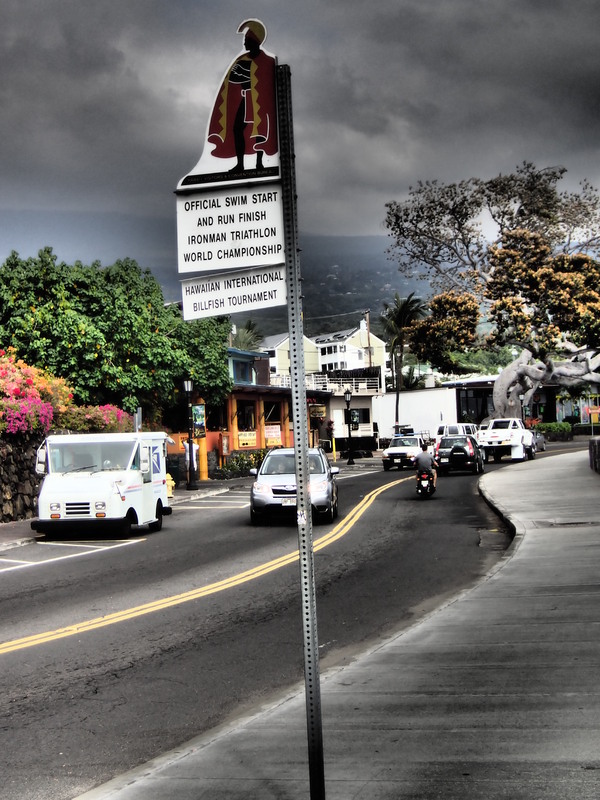 That morning I walked down to the official location of the Ironman swim start and run finish along Alli’i Drive. To walk the streets where legends of my sport were made, is a moment I’ll never forget. From Julie Moss’s gutsy finish line crawl, to the battle between Mark Allen and Dave Scott, Paula Newby-Fraser’s eight titles, to the unknown Chrissie Wellington’s first world champion win, and Mirinda Carfrae’s world record marathon finish, this place was where the impossible happened. For the next couple hours, I simply walked up and down the strip soaking in the warm sun and the thinking of the dreams that had been realized right there on that pavement. I thought of my friend, Melissa, who had qualified to race here twice before. I thought of her and all the other thousands of athletes, who, through hard work, relentlessness determination, and sacrifice, did what so many of us can only dream of accomplishing; earning their spot to race in the Ironman world championships. As I leaned out over the rock seawall, I stared off into the horizon of the Kailua-Kona bay, and with a deep sigh turned to walk back home. 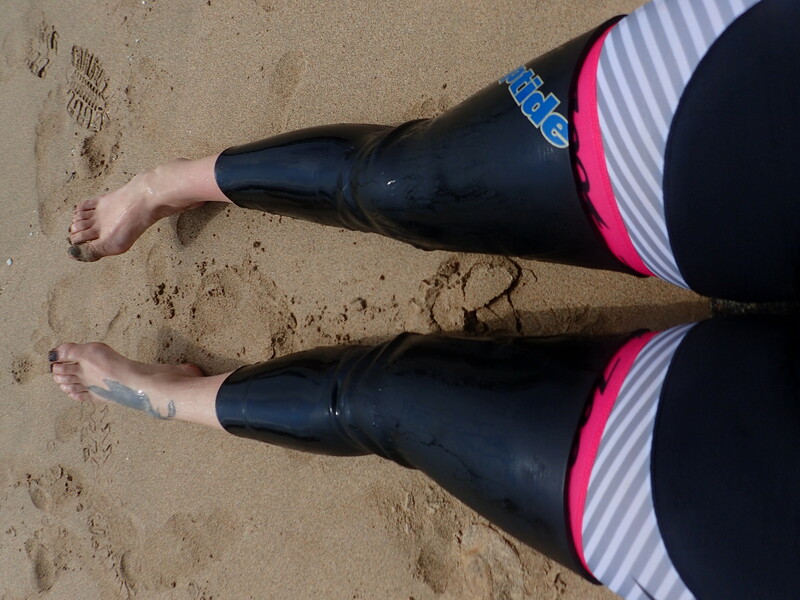 Tomorrow, I would do the one thing my knee still allowed me to, and swim in that bay of dreams. It’s Kona week. 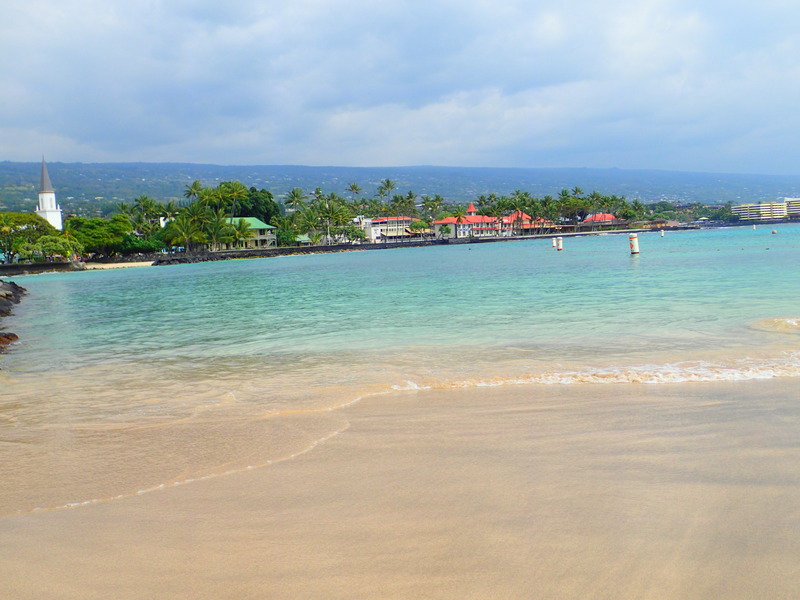 In just two days the cannon will blast a plume of smoke over the thousands of eagerly awaiting swimmers in the pristine waters along the Kona coast. It will signal the start of the grandest, most sought after long distance triathlon event on the planet. For many of those triathletes it will be a moment they will never forget and an experience to cherish forever. Almost every dedicated long distance triathlete dreams of one day gracing the world championship stage in Kona, but only the elite, the best or the lucky will have that opportunity. Kona is one of the reasons why I am in this sport. As a kid I remember watching the broadcast on TV, thinking the athletes were superheroes, and that one day, maybe, I could live the dream of competing in Hawaii. Even as a teenager, on a trip to Kona, I remember seeing the “OFFICIAL SWIM START AND RUN FINISH IRONMAN TRIATHLON WORLD CHAMPIONSHIP” sign at the Kailua Pier, and having a moment to reflect on all the great athletes who had realized their dreams in that very spot. At the time, I really knew nothing about the sport, other than its grueling nature. I still remember images of some of the final athletes literally stumbling and crawling across that coveted finish line on Ali’i Drive – it was inspirational. With a course that winds through mountainous climbs, lava fields, scorching temperatures, and howling winds, it is one of the most gruelling races out there. 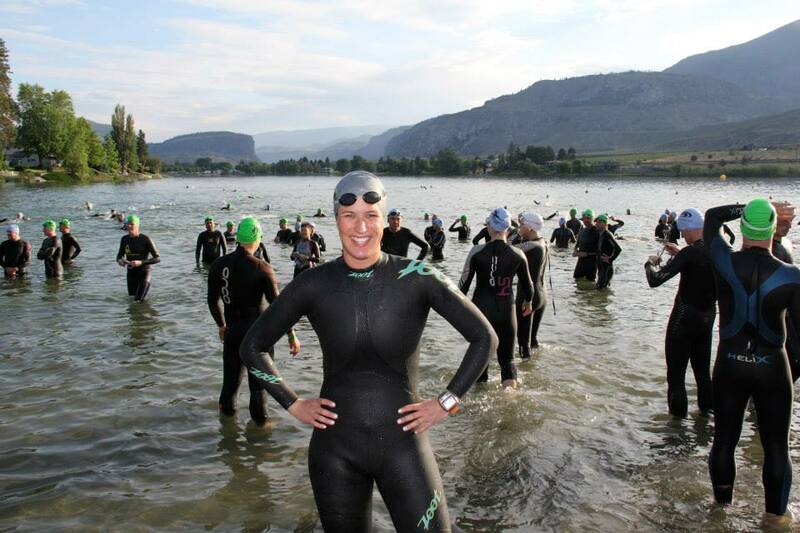 On this particular week, thinking about all the triathletes descending onto the course has inspired me to reflect on my own triathlon journey this year. The season was filled with triumph, defeat, failure, heart break, sore muscles, tears, laughter, joy, happiness, and success. I don’t even think there is an adjective or emotion that wouldn’t be fitting to describe the roller coaster that I called, training. Almost a year ago I walked onto the pool deck for my first workout with my new coach and two of my soon-to-be training partners. At the time I had a few sprint triathlons under my belt, but the training regime I was walking into was going to be a drastic change. These were Ironman competitors, and I was about to be put in my place. Only a few months previous, I was cycling along Westsyde Road, a rolling hills, yet mostly flat jaunt out in the country, which at the time qualified as my “hills” ride. Now here I was about to embark on one of the most gruelling training plans I have ever endured. My first hint was on this morning at the pool when my coach told me to swim laps with my legs tied together. At first I thought he was trying to drown me. There are still moments, even a year later, where I think his workouts are for the intended purpose of murder. Anyway, that swim was nothing short of a flailing attempt at bobbing from one end of the pool to the other. I was heaving along like an exasperated floundering sea creature, all the while struggling to mimic the graceful and quick movements of the other two swimming along with me. I felt out of place, but determined. And from that day on, that just kind of became my style – struggle to keep up yet push with every ounce I had to follow in the footsteps of those ahead of me, and they were always ahead of me. Some days I thought it would be nice to have someone who moved at my pace, but then I realized the faster my partners moved, the harder I pushed. With each workout I would tell myself to never lose sight of the fastest one, yet I would fail every time. And failure became my driver to continue screaming and cursing and flailing, all the while pushing the limits. Some would think it’s lonely at the back, always being last, but I grew to accept it and to thrive from it. Always chasing someone means you are always, always pushing. I became grateful for the expertise they shared, and even more so that, even through their own pain of the workout, they would encourage me along as they lapped me, time and time again. Reflecting on this past year, I would say my development as a triathlete started with the 5-peat hill climbs, gruelling 10X400 metre swims, and the endless mind, body and soul testing track workouts, but it was the group of incredible people I got to train with that really molded me into the triathlete I wanted to be – determined, driven and committed. The season may have ended on a sour note, and I might be struggling to find a rhythm in my recovery, yet looking back on the year, it was an incredible journey; a journey I can’t wait to repeat, only this time with a different end result. This sport has changed my life for the better and I can’t wait for the back-to-back workouts, tears, sweat, pain, yadda, yadda, yadda. It will be great. In the meantime, I will put on my pom poms, enjoy the quiet of recovery and cheer on the Kona competitors, but I will be cheering loudest for the one and only Melissa Lowenberg., a true friend and competitor. Mel, go get ’em. Here’s to finally putting the 2014 season behind me and looking forward to the new challenges of next year.